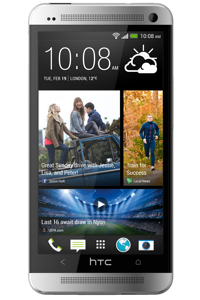 Unlock HTC All HTC devices by IMEI. Fast, Safe & Permanent - doctorSIM U.S.A.
You will have your HTC unlocked very soon. Valid for all HTC devices. Unlock any HTC phone via IMEI with doctorSIM. 100% online, your phone never has to leave your side. Within a guaranteed period of time, you will receive by e-mail simple step-by-step instructions on how to unlock your phone. Unlocking your HTC via IMEI is the method recommended by the phone manufacturers and network providers themselves, as it won’t damage the phone or void the warranty. The unlocking process with doctorSIM is fast, safe, permanent and totally legal. All you need to do is send us some basic information to unlock your HTC phone: country and network the phone is locked to, and IMEI number. For this make you do not have to specify the model as the same service unlocks all HTC phones. Once you’ve unlocked your HTC via IMEI, you can use it on any network in the world. Unlocking HTC phones with doctorSIM is rated 4.8 out of 5 based on 16 reviews . I.E Htc Wildfire Prompt and efficient service. Don't know the country of origin and network to which your HTC is locked? Don't worry, we can tell you! Request an Original Operator check for your HTC and we'll not only send you the name of the network carrier but a comprehensive report letting you know everything there is to know about your particular device.